The U.S. may soon find itself in a civil war when it comes to the issues surrounding U.S. immigration laws. No other topic of discussion can create such antagonism between man and woman, brother and sister, neighbors and friends, then a discussion of the 12 million illegal aliens in the U.S. The US seems to be revisiting the civil war were the nation practically split in two because of the issue of slavery. Now, with the federal government ‘s failure to take charge of the immigration issue, each state has decided to resolve it on their own leading to a checkered countryside of pro and anti immigrant cities and states. Most recently cities and states have been staking their sides by providing some sanctuary to the illegal aliens living in their community. A Sanctuary city protects illegal aliens through local resolutions, executive orders or city ordinances. City police departments may also issue their own special orders, policies and general orders to the similar effect. Some cities have formal sanctuary policies. Others have informal sanctuary policy that does not exist on paper but none-the-less is carried out by the actions of government workers (administrative, service, or safety). 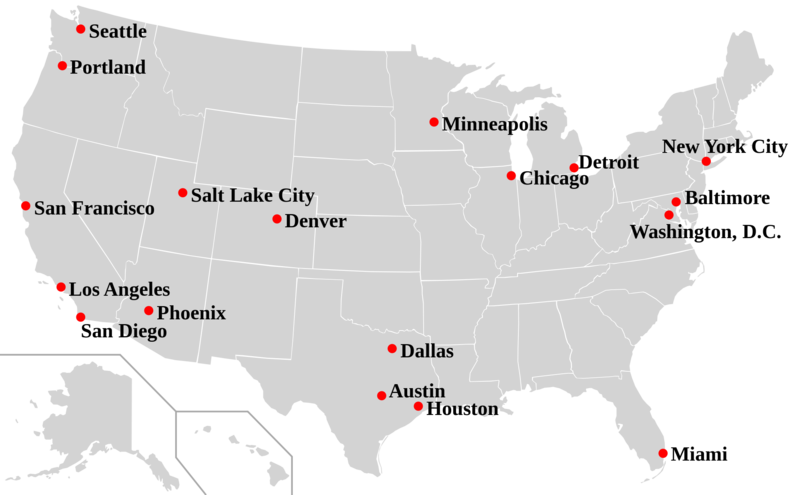 As of this writing the following cities are considered Sanctuary Cities. * (The city of Fairbanks has been removed from the Sanctuary Cities list due to the city council's passage of a resolution supporting a formal recognition of its cooperation with the Department of Homeland Security's Immigration and Customs Enforcement Agency. The city of Fairbanks had previously been listed due its designation as a sanctuary city by the Congressional Research Service. OJJPAC thanks the City of Fairbanks for taking positive steps to clarify its compliance with federal law. Fairbanks enforcement statistics will be monitored for compliance as. · Dayton, OH (Added 1-11-10 Source: Dayton Daily News story by Lucas Sullivan. Police chief prohibits officers from asking about immigration status. · Madison, WI (Congressional Research Service) Update: In June, 2010, the city council passed a resolution reaffirming its policy. Watch List Cities Note: This is a new list started 8-14-07 and was updated on 12-2-10. The Municipality of Anchorage sent OJJPAC a letter disputing the city's listing postmarked July 29, 2010. It claims that the Congressional Research Service's listing of the city as a "sanctuary" was based on a Resolution adopted by its Assembly (AR 2003-223) in 2003. The Municipal Attorney Dennis Wheeler says that that Resolution was rescinded on December 18, 2007. Mesa Arizona has been added as a sanctuary city list because of its reported "don't ask don't tell policy" and criticism by the local sheriff that the city is not enforcing the law. The sheriff has arrested illegal aliens working in city buildings (as contract workers for a private cleaning company), reportedly after the city police department refused to investigate complaints of illegal hires by a whistleblower. Philadelphia's Mayor signed an Executive Order in November 2009 that provided additional protections to illegal aliens in the city. However, the City of Philadelphia does have an existing Preliminary Arraignment Reporting System (PARS) agreement with ICE. Mayor Nutter objects to the PARS computer technology agreement which is now up for renewal. The Mayor apparently believes that the access of data by ICE will result in increased immigration violation investigations and deportations. Here is an article by the Philadelphia Inquirer. Tucson Arizona has been added to the sanctuary city list because the Tucson police have instituted a new policy which prevents their officers from calling Immigration and Customs Enforcement to schools and churches. Tulsa city councilor Jim Mautino was quoted in a Tulsa World article by P.J. Lassek, that he believes Tulsa is a sanctuary city and that the Police don't verify legal presense during traffic stops. Mautino wants to crack down on illegal aliens and introduce an ordinance mandating the use of E-Verify because the resolution that was passed cannot be enforced. According to a CRS report (October, 2005), Oregon passed a law in 1987 that prohibits local and state law enforcement from using state resources for locating and capturing illegal aliens. Law enforcement was permitted [but not required] to "exchange information" with federal immigration agents if an illegal alien was arrested for a crime. San Bernardino was added to the list on June 6th of 2007 as a result of a readers submission. On September 5th 2008, the city administration contacted me to dispute its listing. OJJPAC has asked the city's law department to forward copies of the city's policies regarding its processes when illegal aliens are encountered in its city.